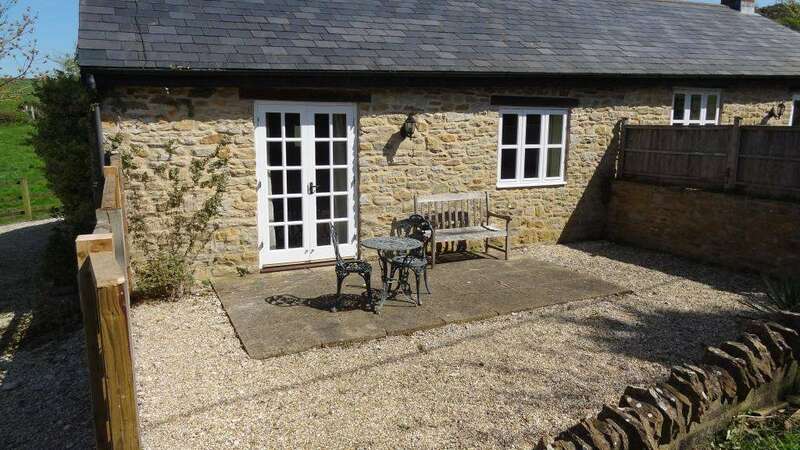 Holiday Rental on Dorset Farm near Weymouth and Dorchester. 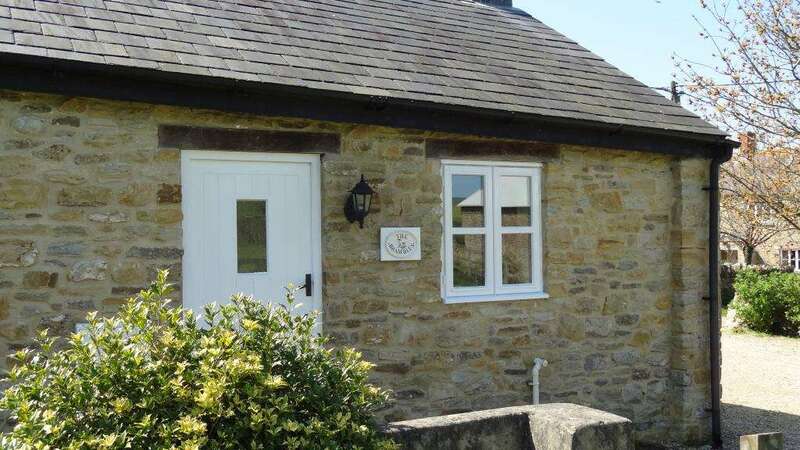 The Brambles is a one bedroom farm holiday rental furnished with lone travelers, couples and pairs in mind. 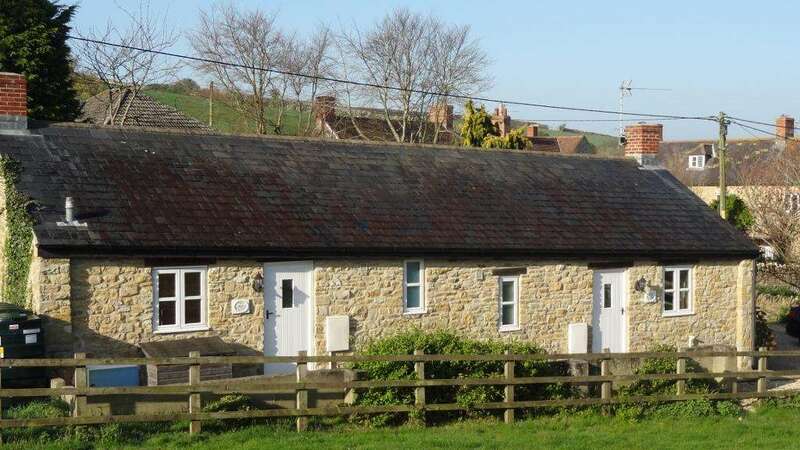 Situated on our Dorset Farm a short drive from Weymouth and Dorchester, the Brambles is a single bedroom farm cottage offering plenty of comfortable living space for two people. 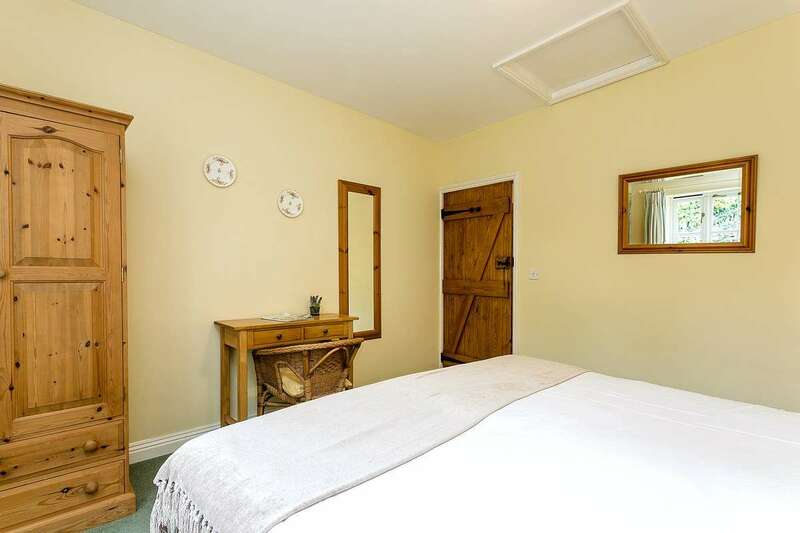 A recent conversion from an old disused barn, The Brambles is bright and sunny and opens out onto our wonderful farmland with beautiful walks leading to the Fleet and the stunning Chesil Beach. 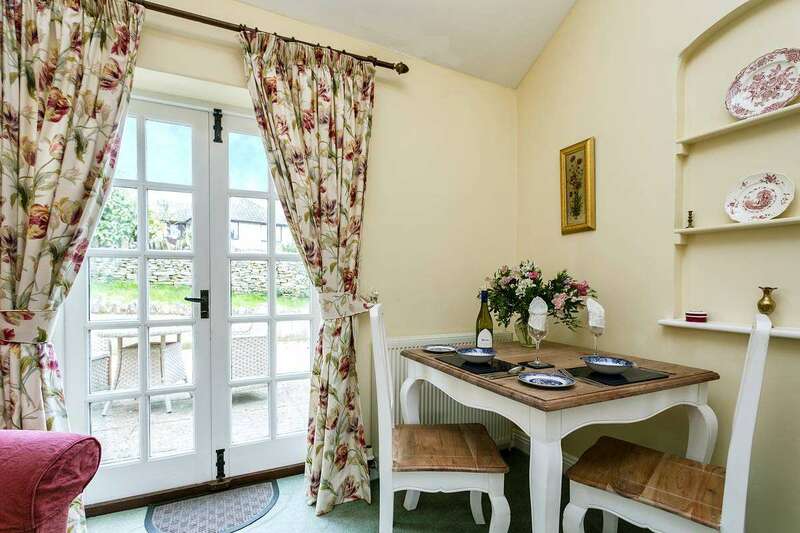 Cottage facilities and features at a glance. 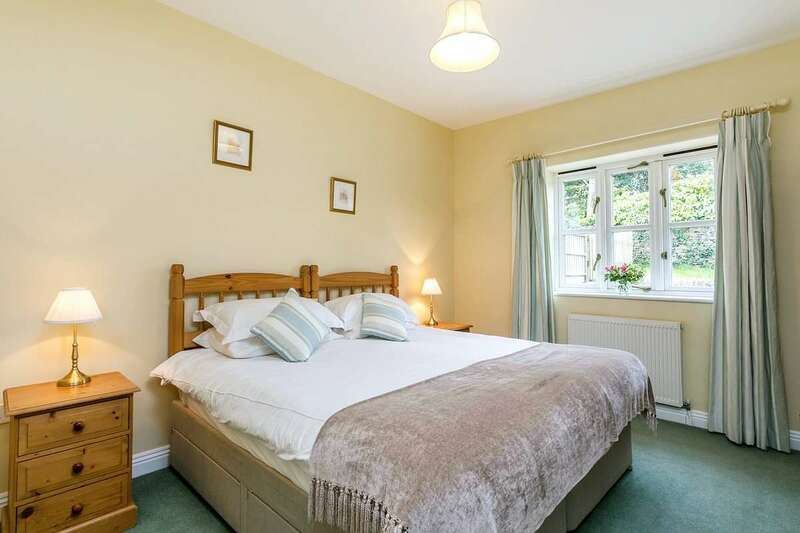 4 Star Rated plus Gold Star Award by the tourist board VisitEngland, inspected each year. 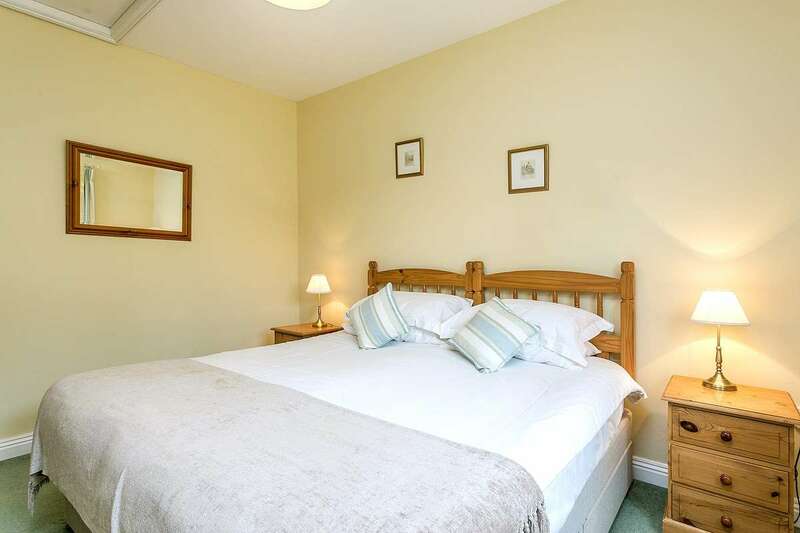 Sleeps 2 people in 1 king size double bedroom, can be made as twin beds. 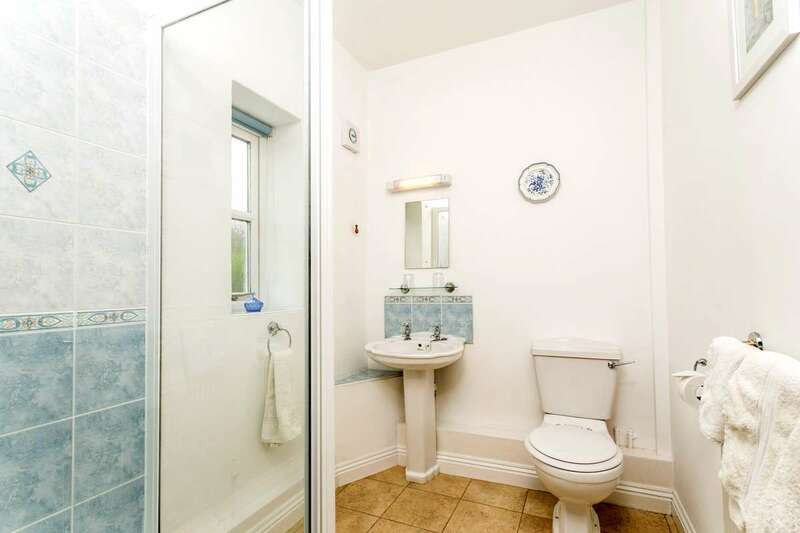 Bathroom with bath and shower attachment. 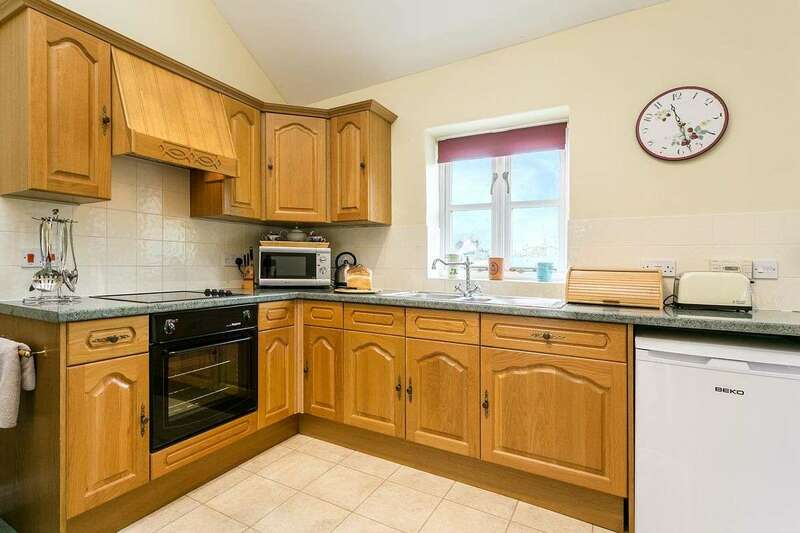 Well equipped kitchen and microwave. 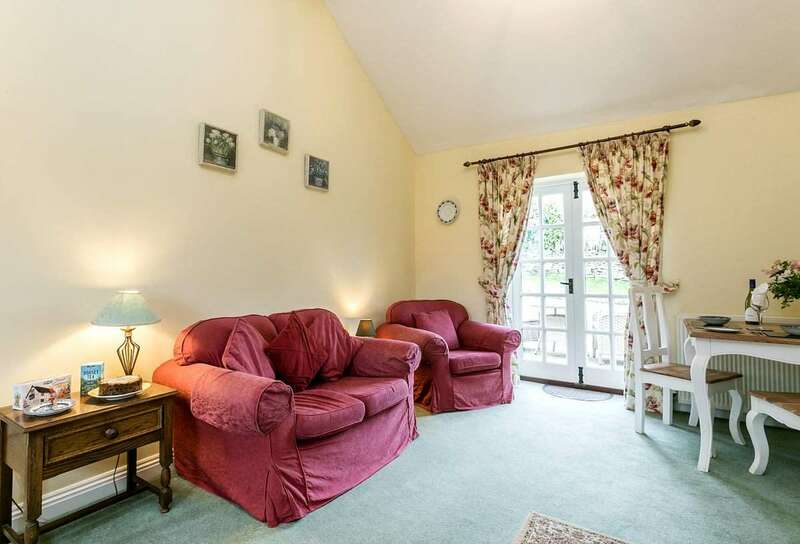 Sofa and armchair plus dining area. 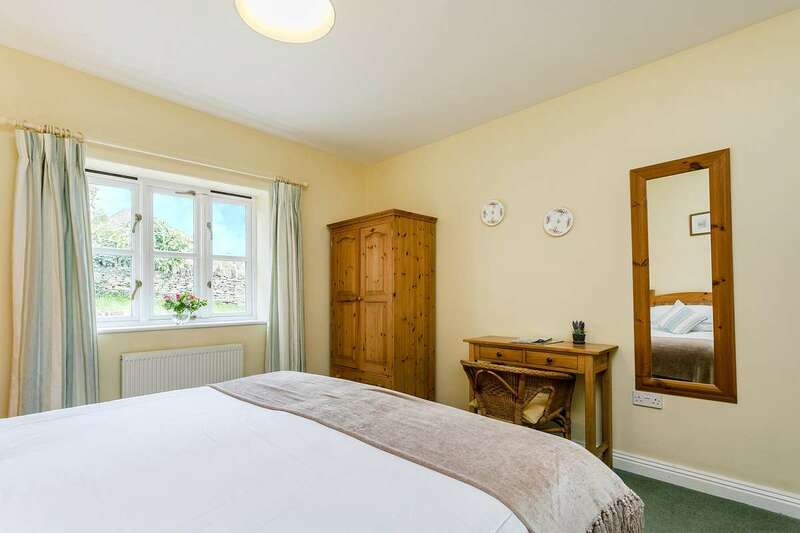 Dog friendly with fantastic walks straight from the front door. 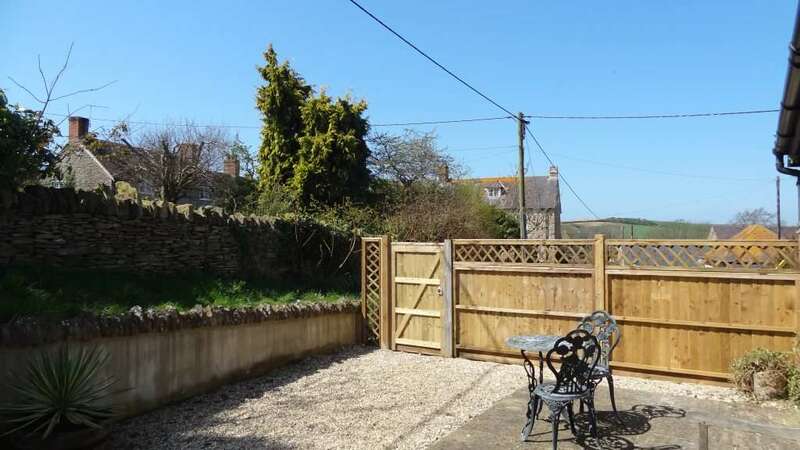 Plenty of parking space at the side of the cottage. 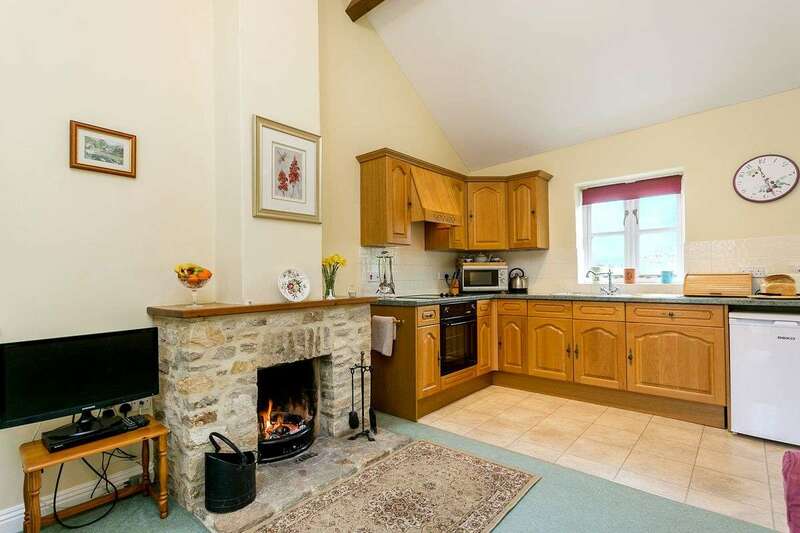 Open log fire with logs provided in the winter months. Sandstrom DAB Radio with Bluetooth connectivity to stream music from phone. Free wifi hotspot in nearby Stables games room, also washing machine and dryer. Cottage does receive very good mobile/data signal. 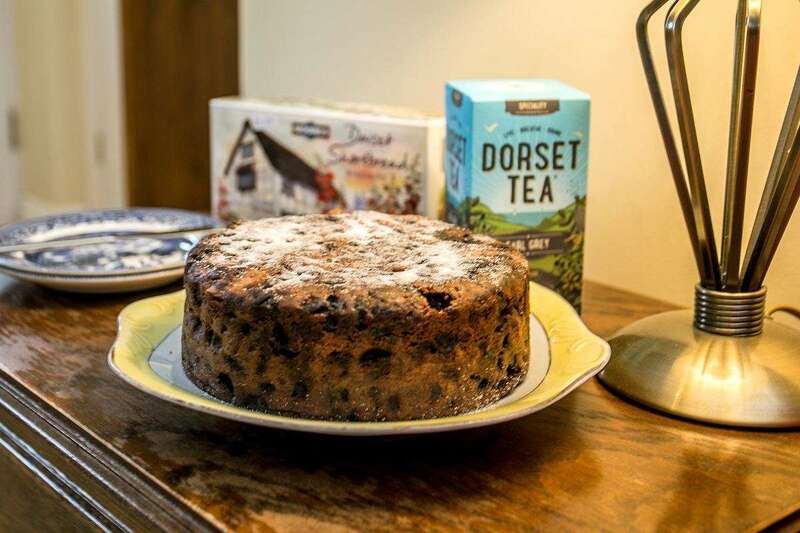 Our Dorset holiday farm rental features a fully fitted kitchen with all the necessary utensils and crockery for self catering, including a microwave for your morning porridge. 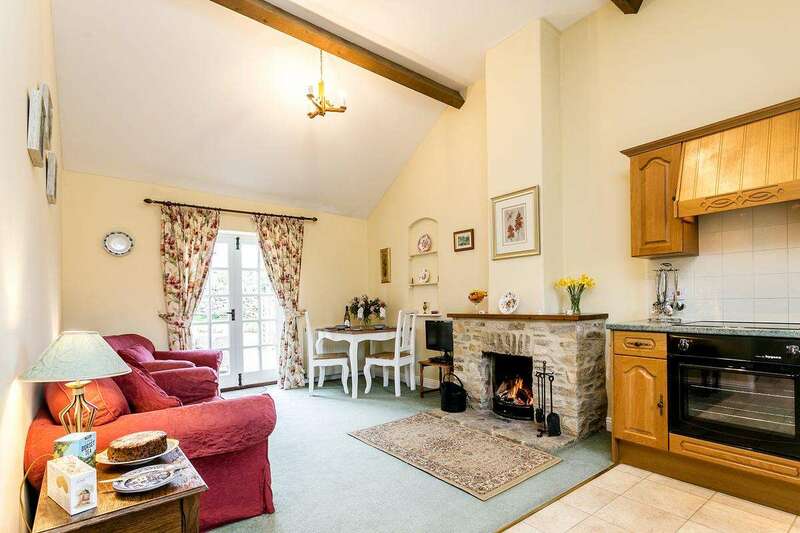 The living room includes French doors leading to the patio and the cottage contains a TV and DVD player and a small dining table for meals indoors. 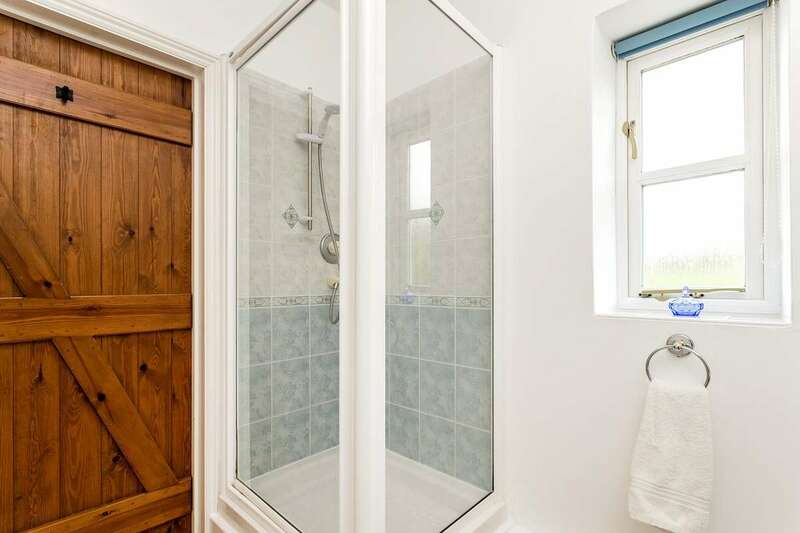 The Brambles contains a bathroom with an integrated shower and the bedroom can be made up as a twin or a double to suit your needs. 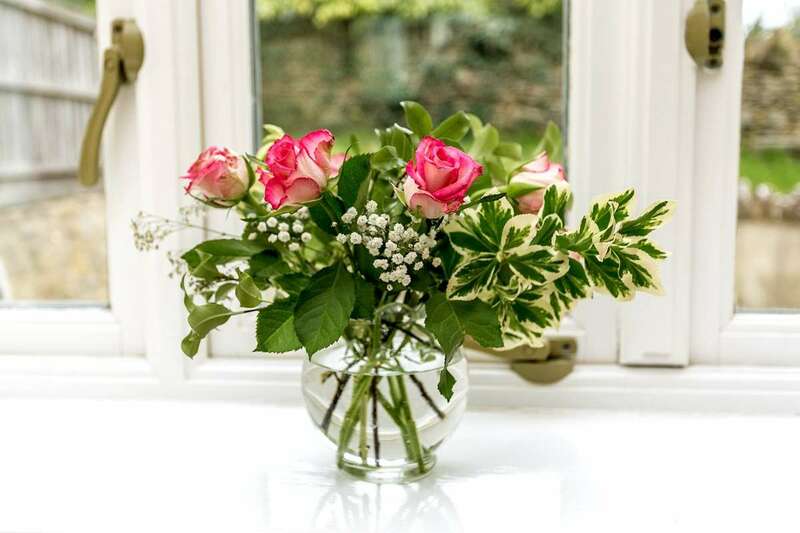 Our farm cottage has access to a secluded south facing patio containing garden furniture and pretty, mature shrubs, and the cottage includes a romantic open log fire for a night snuggled up with a loved one or an evening reading a book by its warm glow. 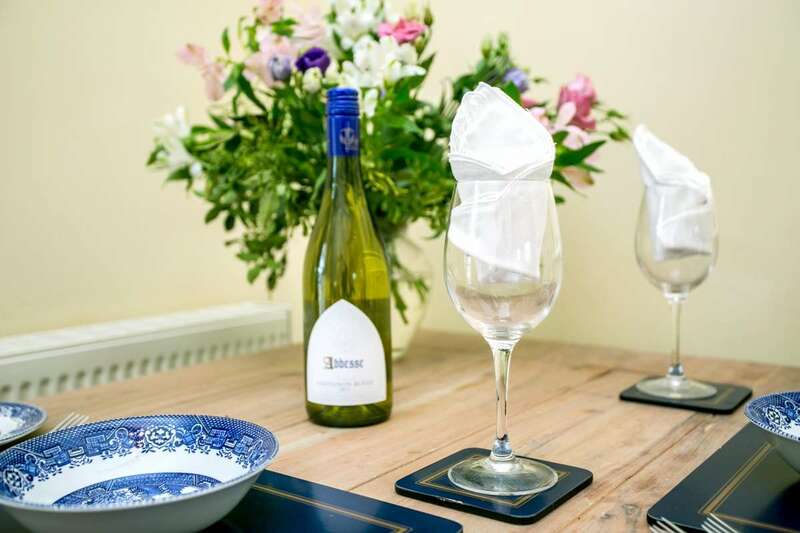 There is ample parking space and a short distance away in the drive to Lower Farmhouse you will find the Old Stable with table tennis, table football, a selection of games and a good library of books. 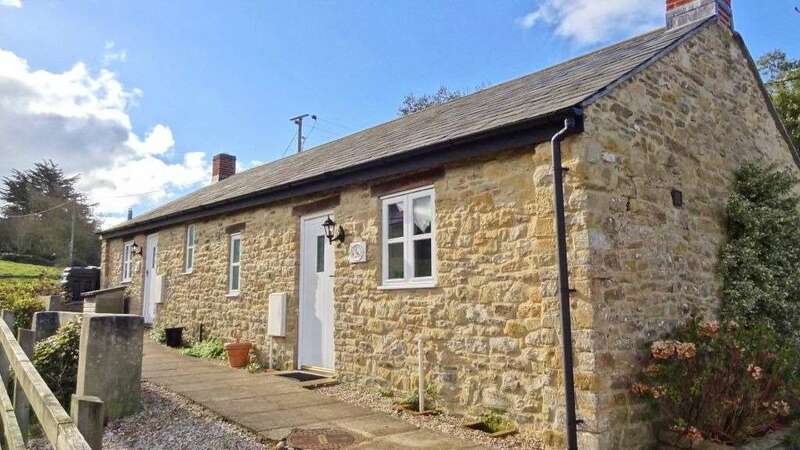 There is also a washing machine and tumble dryer and the all important free wifi hotspot to catch up on emails and social media. Click on the blue marker to open up google maps and get directions.